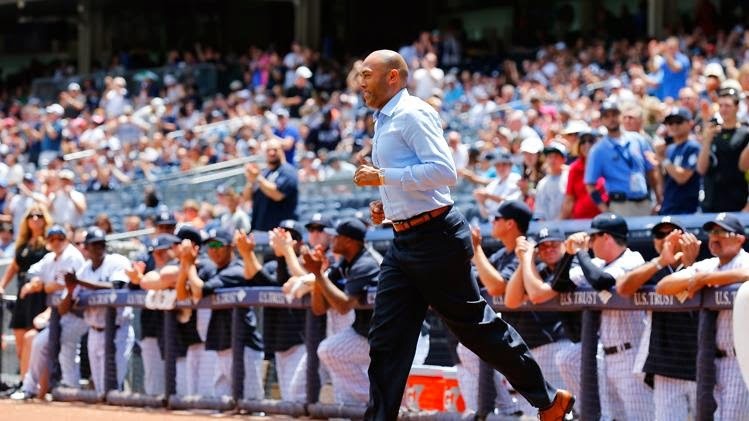 6/21/14, "Former New York Yankees Mariano Rivera waves to the crowd during pre-game ceremony to honor Tino Martinez at Yankee Stadium on June 21, 2014 in the Bronx borough of New York City," photo Getty. Today's game Orioles v Yankees. 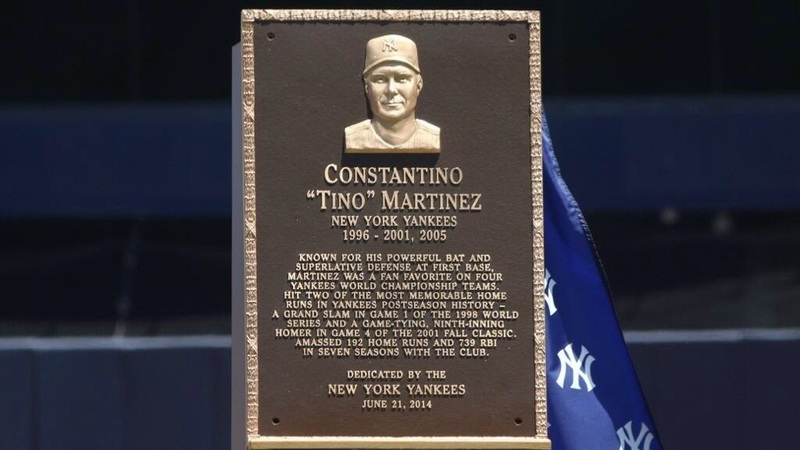 6/21/14, Tino Martinez plaque presented at Yankee Stadium, twitter pic via Erik Boland twitter.